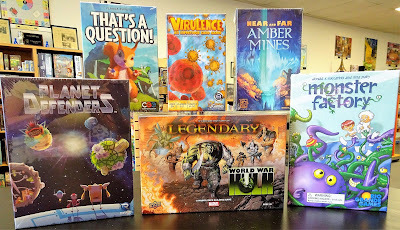 More exciting games and expansions arrived this week. 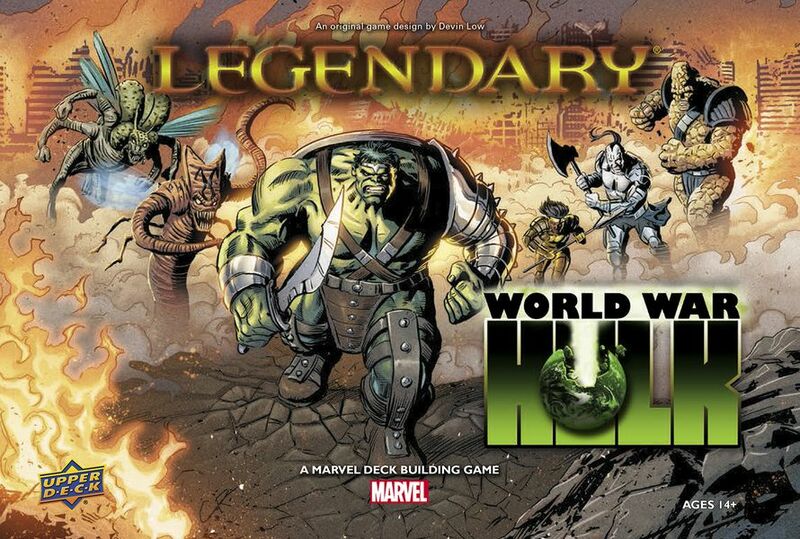 World War Hulk is the newest expansion to the base game Marvel Legendary, a deck-building game that can be played cooperatively or competitively. The Hulk has returned to the world of Legendary and all he want to do is smash? Play this expansion two ways: As Hulk, flanked by the formidable Warbound, reaping ruthless revenge on the Illuminati, or as Earth's heroes in an all-out battle for survival. 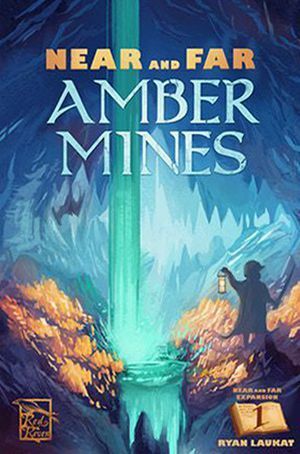 New from Red Raven Games is Amber Mines the first expansion for the base game, Near And Far, a story-telling game as you journey through a book of maps filled with adventures. 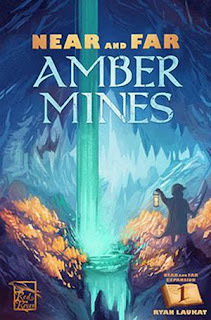 Amber Mines include modules that you can add or remove as you desire. With this expansion you'll explore the vast underground with new Amber Mine cards and visit updated buildings, including new actions at the Mine, Mystic's Hut, and General Store. There are new spell cards with special powers to be had. Additionally, it has a new cooperative mode that lets you play on a team. 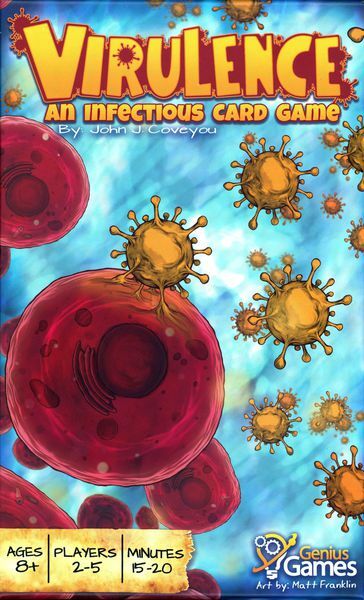 Virulence is a card game for 2 to 5 players that take on the role of a virus competing to infect a host cell and replicate your viral components. Virulence is played in rounds that repeat until the Viral Component Card deck runs out. Each round, players secretly choose one Bidding Card from their hand, place it face down on the table, then simultaneously flip these cards to reveal each player’s Bidding Card strength (or virulence). In order from the highest to the lowest virulence, players then take turns choosing from the available Viral Component Cards, which are each worth a varying number of points. The player with the most points at the end of the game wins. Genius Games specializes in accurate science games that are fun as well as educational. By 2070, robots are used extensively in space missions. One day, a number of derelict robots suddenly recharge and beginning operating outside their original programming! Now you must send the plant defenders out to catch the rogue robots. Planet Defenders is a resource management game for 2 - 4 players. Players are leading scientists in robot technology that are competing to capture the most rogue robots and developing the best set of technology cards. 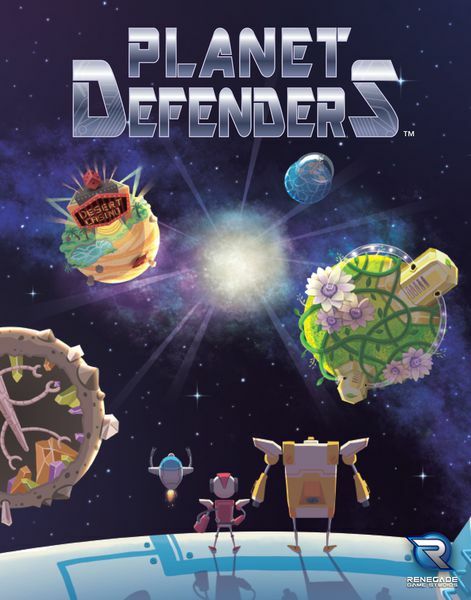 Players pay batteries to control the three defenders, moving them among the planets and collecting energies. Players can enhance their actions by spending energies or batteries to upgrade their technology. They earn the research points by catching the disposed robots in outer space and by collecting technology cards. 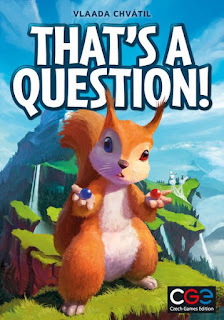 That's A Question is a silly party game for 3 to 6 players. Which would you miss more if it ceased to exist: Mountains or Pizza? That's the sort of question you'll need to answer when you play this game. Players take the roles of squirrels climbing a mountain. As they climb, they ask each other questions. Because, you know, that's just what squirrels do. Why squirrels? That's a question! You'll take turns asking questions and hopefully moving up the mountain. You build a question from the cards in your hand and choose a player to answer. There are three basic questions, and these are written on the question board, located in the center of the play area. Each question involves a choice between A and B. What are A and B? That's a question. To make a question, you pick two of your five answer cards to go with one of the three questions. Each card has 3 answers. So you have a lot to choose from. Next, the player who will be answering secretly selects and places face-down their A or B token while the remaining players try to guess what the answer will be by secretly selecting their A or B token face-down. Reveal the tokens and score.